If you follow @CleverlyChanging on Instagram I’m sure you’ve seen several pictures of my recent DIY remodeling projects. When you purchase or rent a new property you’re so excited about it and you want to make everything exactly that way you like it. After a while you may, quickly realize that your taste and budget don’t always align and to get the elegant results you want you may need to recreate a few things and think outside the box. To save money and still get the results I want, I use Pinterest to find tutorials and plans to bring my remodeling ideas to reality without breaking the bank. I knew when we decided to update the lighting fixtures in our home that some could be high-end and really pricey, but I didn’t realize how much I would spend trying to find the fixtures I loved the best. After exceeding my budget for our electrical projects, I had to find a few ways to cut cost. 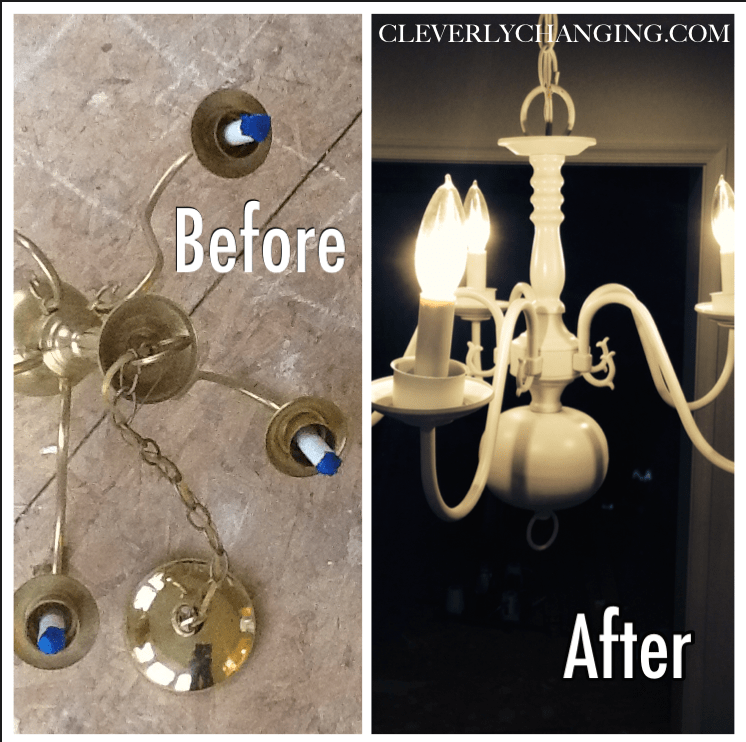 One of the ways I saved was refinishing the existing chandelier that was already in the house. All of the fixtures our home had gold accents, gold is great, but it didn’t fit my design ideas. I saw a pin from the Pink Little Notebook and knew I had to try it on my own. Step 2: Cover the bulb inserts with tissue and painters tape. Step 3: Shake spray paint for 2 minutes before using it. Then begin an even coat by moving your hand back and forth. Step 4: Let the first coat dry for 4 hours (drying time will vary depending on the paint you use) and then rotate. 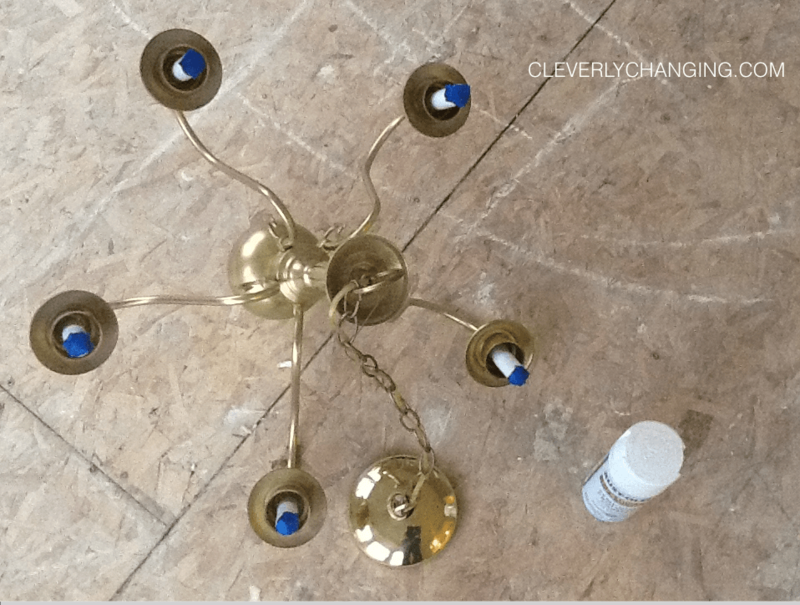 Step 6: look over your chandelier and make sure all spots are evenly coated and touch up those spots if needed and then let dry. hen using spray paint, make sure to shake it well before you begin and while your spraying. Also keep the recommended distance to avoid drips and make sure that the coat is even. 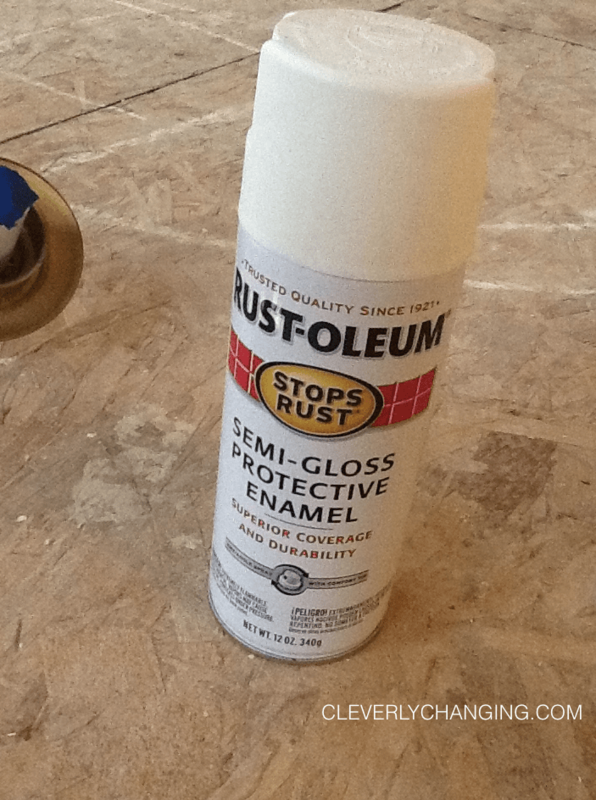 Lastly rotate the chandelier as you paint it o avoid missing spots or rubbing off the paint. The easiest way to do this is to paint the chandelier while is is hanging in your garage or from a tree outside. If you don’t already have a chandelier to update, check out the Habitat for Humanity ReStores in your area or a local thrift store. 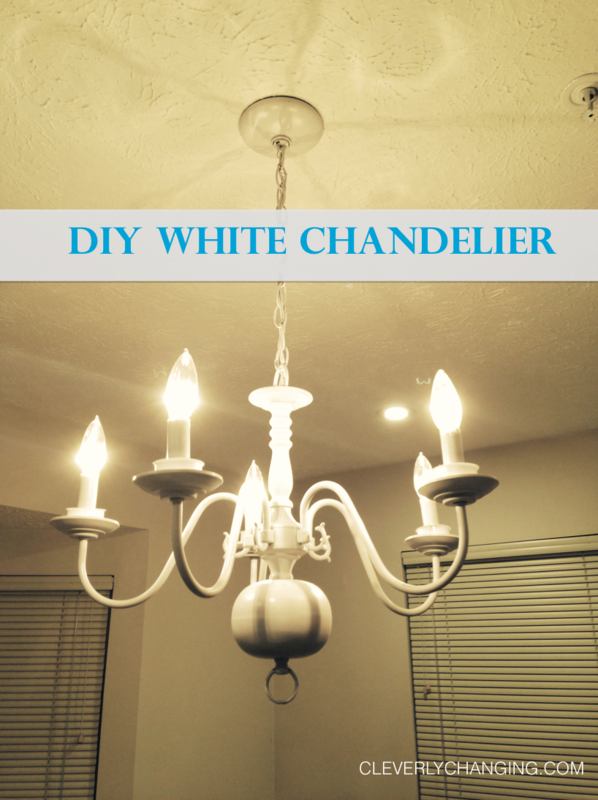 I actually purchased a chandelier for $180 and after I saw the results of my DIY chandelier I returned it, because I liked the one I refinished better. Also $10 is alot less than $180. Stay tuned on Instagram for more from our home remodel. This was a simple project that could be completed over a weekend. Do you have a design project coming up and don’t know where to start? Or are you thinking of purchasing a new home, if so, check out Chip Wade’s advice from the DIY HGTV network expert. Don’t forget to follow my remodel board on Pinterest. Follow CleverlyChanging.com’s board Remodel Ideas on Pinterest.